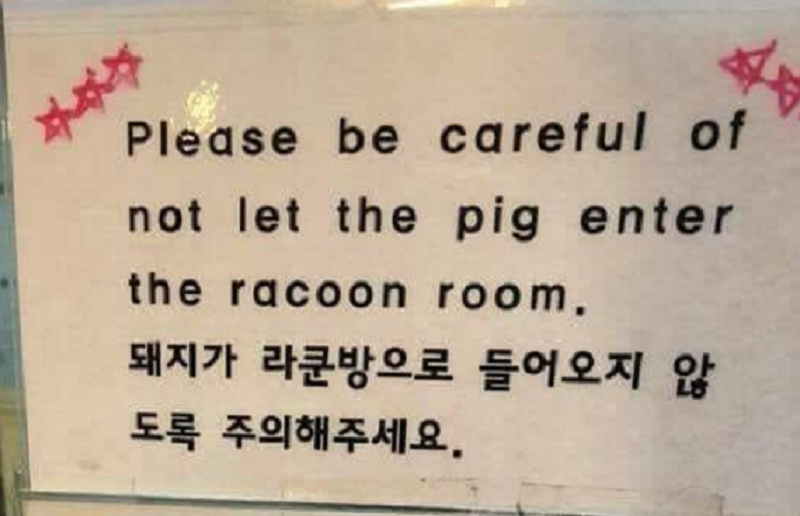 We all appreciate a little guidance in an unfamiliar place, and twice the guidance must be even better – which is why these two signs giving very clear warnings about this Korean “raccoon room” should definitely be treated with respect. Obviously, these intriguing notices raise more questions than they answer, which was what happened when film critic, Scott Jordan Harris, shared them on Twitter. 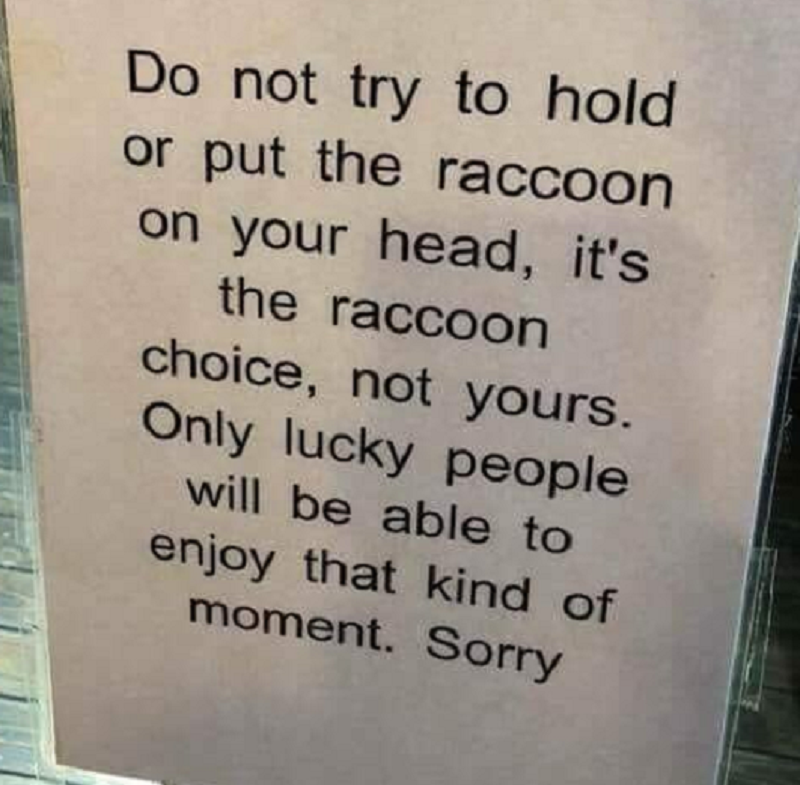 I always imagined if there were raccoon rooms and what happens in them. Me too. I can’t decide if I want the raccoon to be kept separate from the pig because they have an ongoing feud or because together they make mischief and schemes. I want to know if the raccoon is allowed in the pig’s room. Twitter user, Scott Ledlin, made us wonder if we haven’t all overstepped a boundary. The first rule of raccoon room is to not talk about raccoon room.